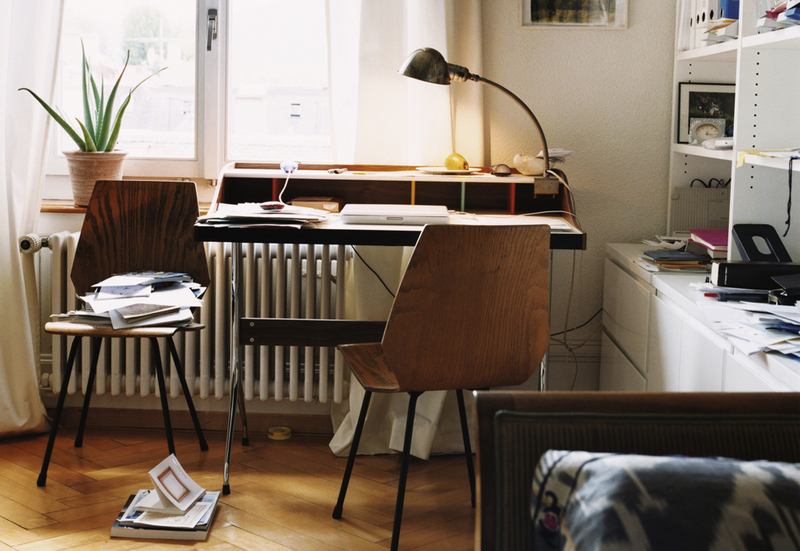 The lines you are reading have not been penned in an office but at home. Which is not unusual in today’s mobile age, especially for those of us who live in cities. However, the new flexibility also comes with a catch, for our apartments tend to be quite limited in space. 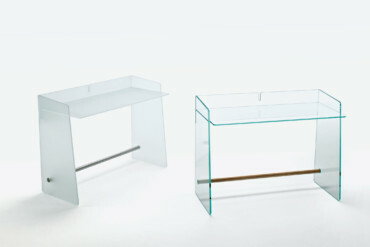 Meaning there is a veritable need for flexible furniture. 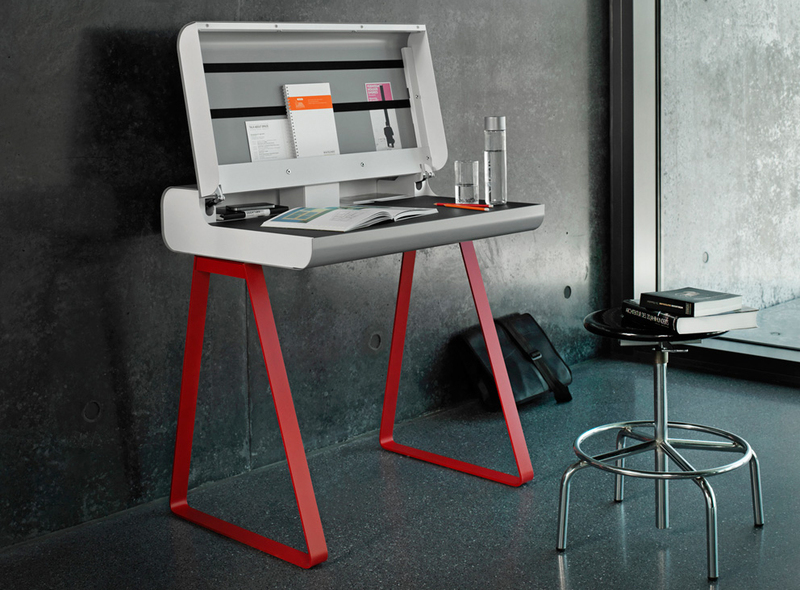 Just as well, then, that a whole load of simple and smart desks and bureaus have debuted in the market in recent years. 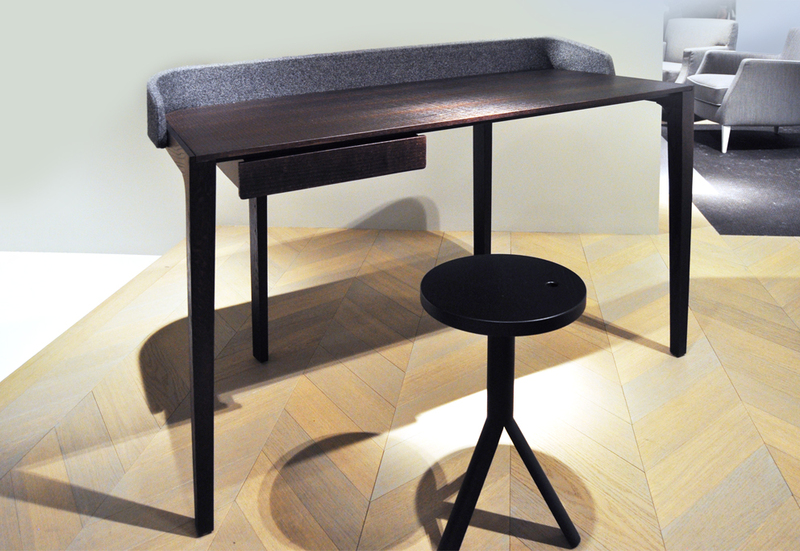 Some of the latest miniature desks have just been showcased at imm cologne. 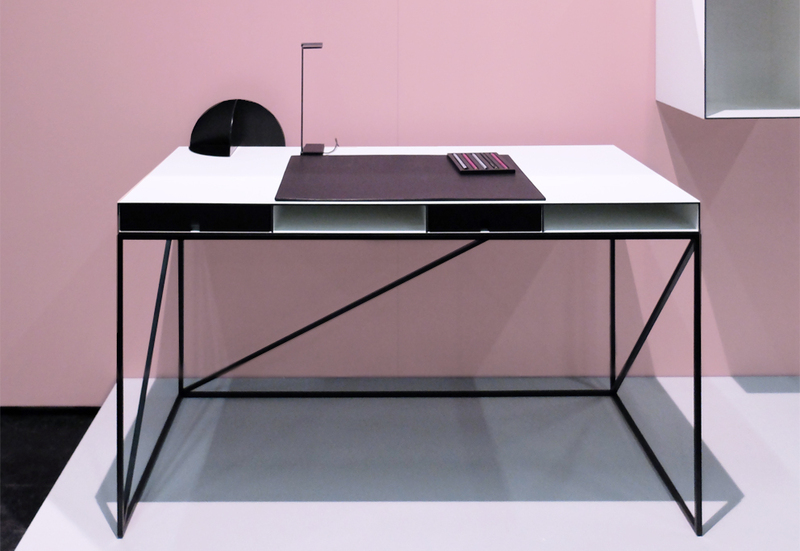 Together with “Inside World”, likewise newly launched by Noé Duchaufour-Lawrance, “Mateodesk” belongs to an entire series of small desks for living spaces that Ligne Roset have rolled out in recent years. 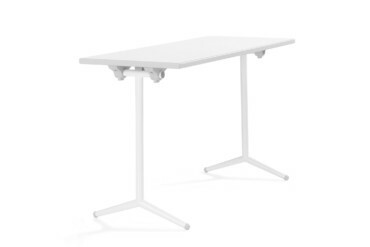 Its wide-angled high-gloss aluminum legs imbue it with a lithe and flirtatious personality. Drawer elements in white, mustard yellow or ranger green, provide a stark contrast to the naturally bright or black painted oak to create a fresh touch. “AT-AT” is small and pretty, and offers us a sense of coziness. 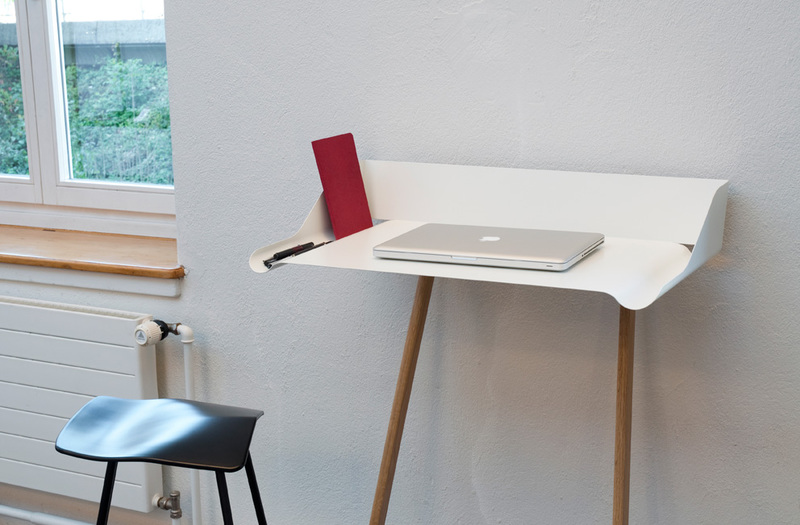 A downright practical companion, the desk is the joint brainchild of Swiss company Firma Röthlisberger and Japanese designer Tomoko Azumi. 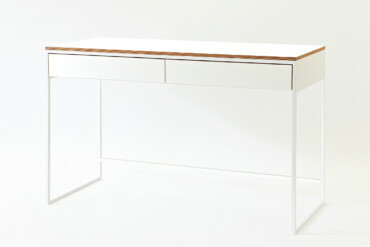 Perfectly exuding the spirit of the two cultures, it boasts a subtle, albeit high-quality and sturdy appearance, citing a small bureau in terms of both form and function. Incidentally, the materials have been selected for superior quality and longevity: pear wood and leather for the shelf space on the rear. “Staks” boasts a wall for notes that can be neatly stuck to it with magnets. And a groove at the far end of the desktop where books, power supply and other utensils can be stored. And if that’s not enough, you can stack more books on the 15-cm-deep storage space at the top of the slightly inclined noticeboard. Or simply place a lamp on it. You get the impression that “Staks” is a real allrounder – despite its somewhat leggy appearance. With its pared-down elegance and its wrap-around felt collar (a surprise element that doubles up as a functional barrier) “Inside World” was one of the highlights at the recent imm Cologne. 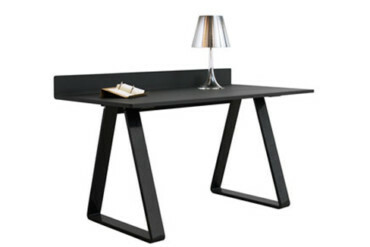 The material is in clever contrast to the dark elegance of the wood and fosters a truly captivating design. 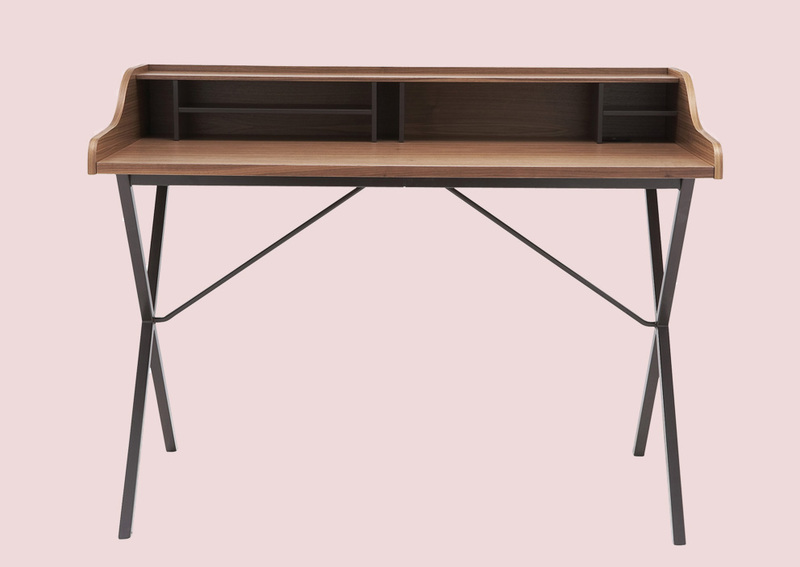 Rounding out the “Wogg 25” and “Wogg 52” shelf series with a desk whose aesthetic is as ascetic as it is delicate was definitely a very smart move. Not only is the result a perfect match for the shelves, but with its Modernist spirit the “Wogg 54” is most charming indeed. The combination of black and white whisks us away into the world of Coco Chanel – walking daintily and seductively on its metal base like on a pair of stilettos. 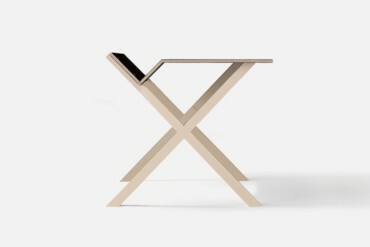 Ingeniously simple – simply genius: a bend or fold in the desktop that solves many problems at once. Where can I keep my pens? What’s a good place for my books, notes, erasers and rolled-up drawings? 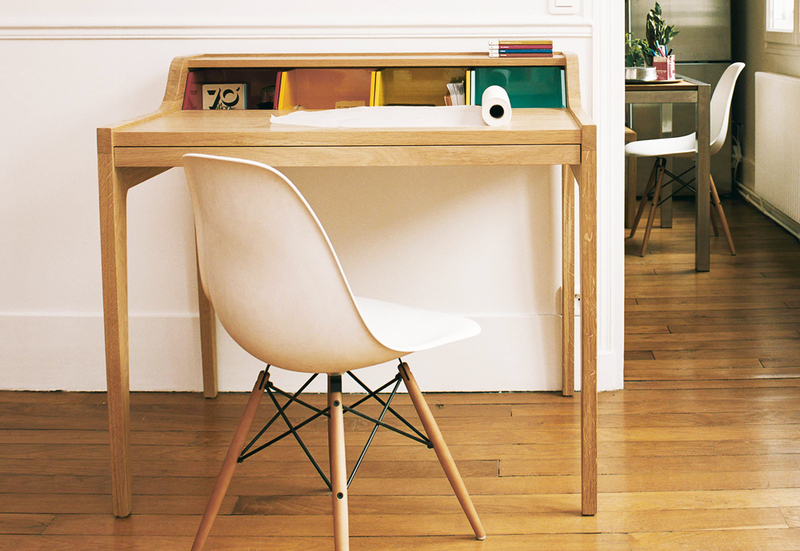 Once thing is for sure – nothing ever gets accidentally swept off this desk. Whether the name (a play on words typical for Moormann) refers to the German word “Kante” (edge), referencing the beveled kink in the surface or the philosopher Immanuel Kant – who knows? 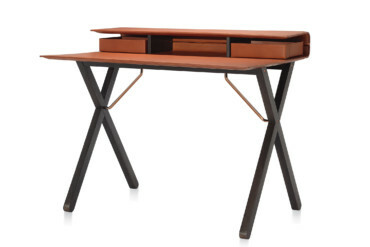 The small desk not only displays extremely smart workmanship, but makes keeping a clean desk decidedly easy. Items such as laptops, tablets and chargers are conveniently stored in the inside compartment, which is concealed beneath a bent leather cover that can be rolled up. Though they are hidden inside, the items and utensils are discernible if you gaze through the delicate openwork, which ensures good ventilation into the bargain. 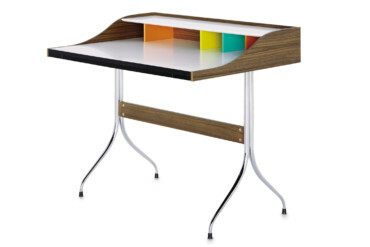 Once everything has been stowed away all you will want to do is to sit at the “Pegasus” and dreamily caress the soft luxurious leather that fully encapsulates this desk. It goes by the simple name of “PS”, is made of metal and can be painted in any RAL color. 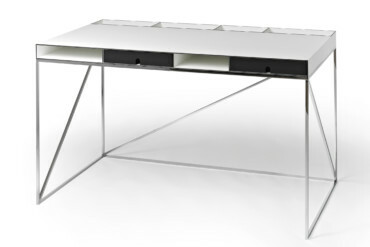 Its feet are coated with durable matt lacquer, the black linoleum that covers the desktop is pleasant to the touch, but what makes this desk so very special is the folding top that softly opens and closes thanks to pneumatic springs. 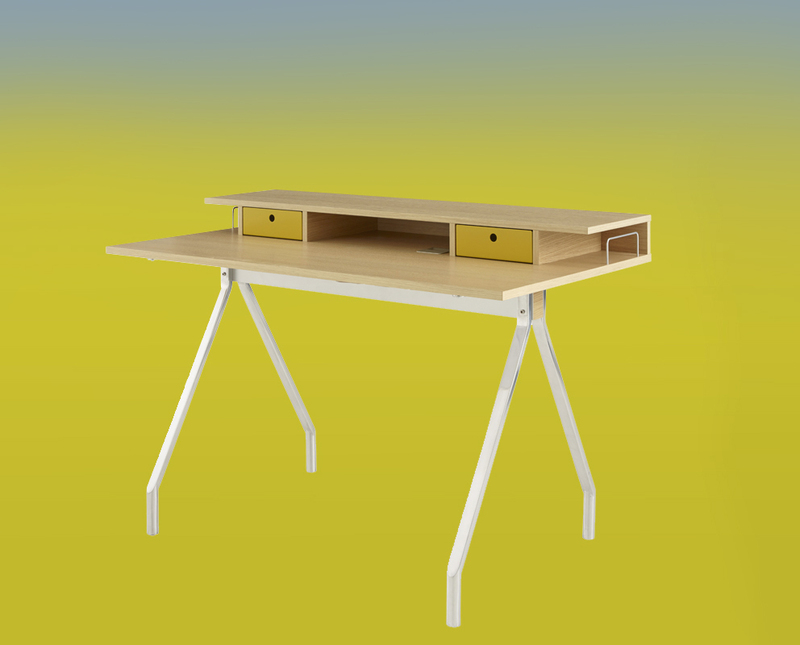 The desk comes with an integrated power supply and features a roomy drawer with a groove for pens and a cable opening for perfect organization. If you’re content with less, then go for the “PS 10”, which is open without the fold-down top, and the simpler version “PS 07”. 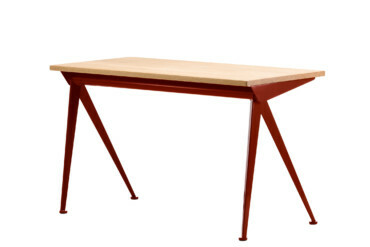 In making “Desk”, Danish designer Gesa Hansen only used the best ingredients from design history and reshuffled them. 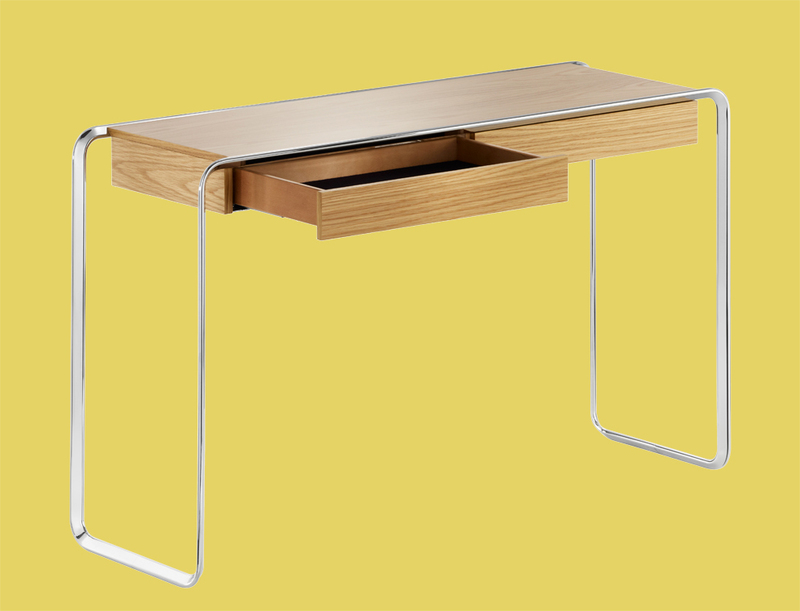 Taking a dash of George Nelson’s “Home Desk” and a pinch of the Davenport Secretary, the venerable English classic, she created this small, pretty and functional table, boasting a top that can be extended. It ever so slightly reminds us of our school days – mind you, our desks back then certainly did not exude the same chromatic freshness. 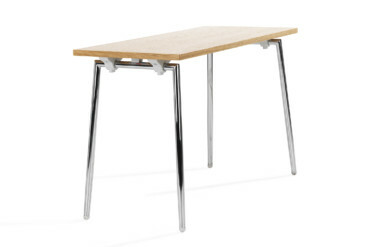 When George Nelson designed the “Swag” series of tables and chairs in the 1950s he did so with industrially produced curved metal legs in mind that could be easily fitted at home. 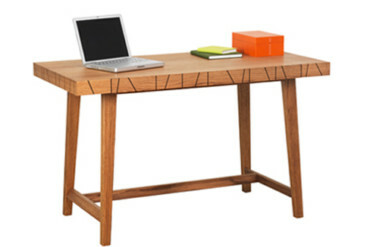 The small desk originally destined for ladies has today morphed into an ideal – and very attractive! – everyday companion. While of course retaining its glamor as a design icon rich in history. Another classic. 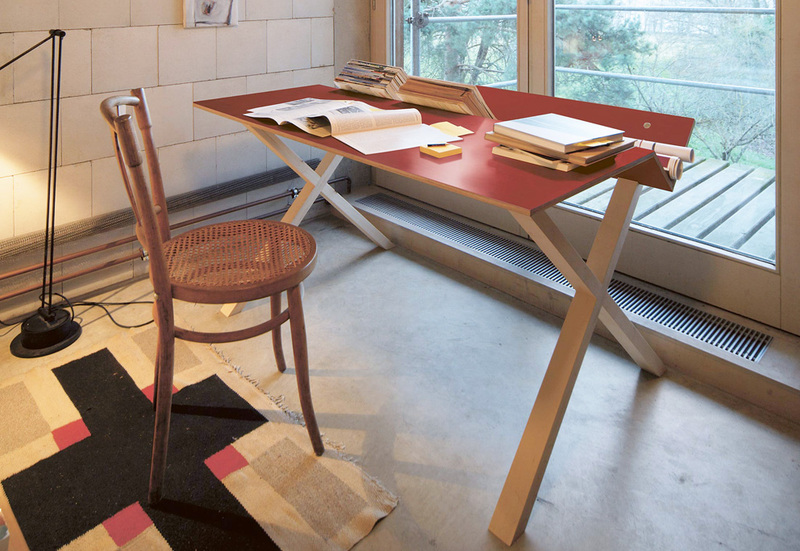 It was Jean Prouvé who created the small desk in 1949. 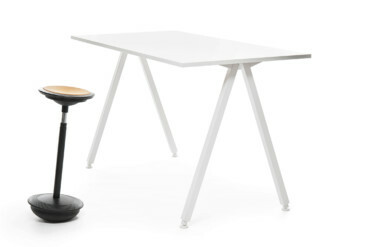 “Compas Direction” celebrated its renaissance in 2012 when Vitra re-issued it in conjunction with the launch of its RAW edition – a collaboration with the fashion maker G-Star. 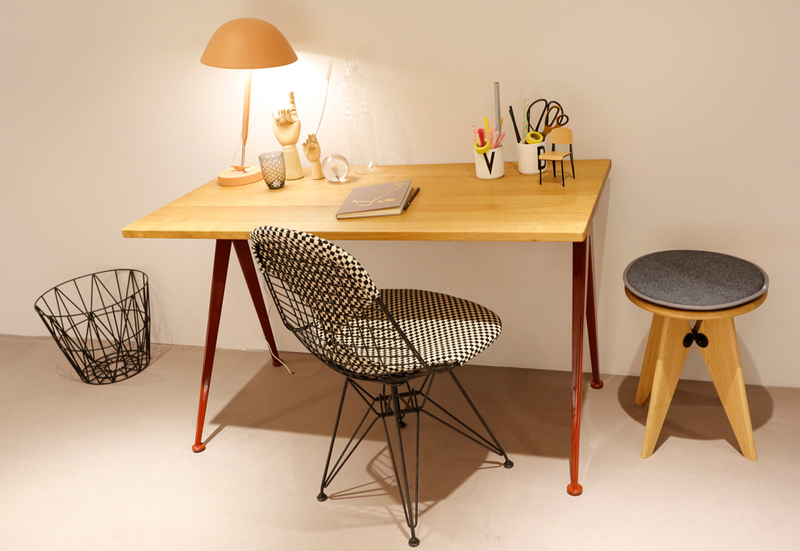 Since 2013 is has been part of Vitra’s regular Prouvé collection. Both the structural principle and the name are derived from a compass. There is a matching chair named “Fauteil Direction”. 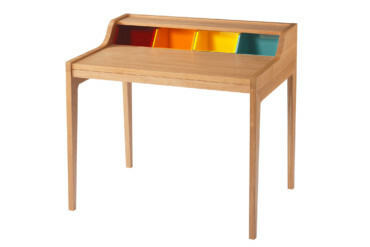 This small desk, the epitome of a no-frills classic, is rather untypical for Pierre Paulin’s designs. 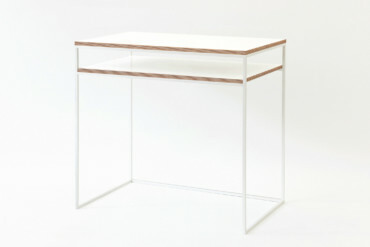 It is available in either lacquered white or walnut. 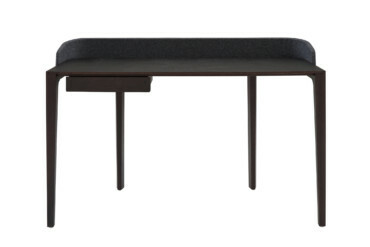 Ligne Roset launched “Ursuline” to commemorate the death of the famous French designer. It is named after the Rue des Ursulines in Paris, where Paulin lived some of his life. 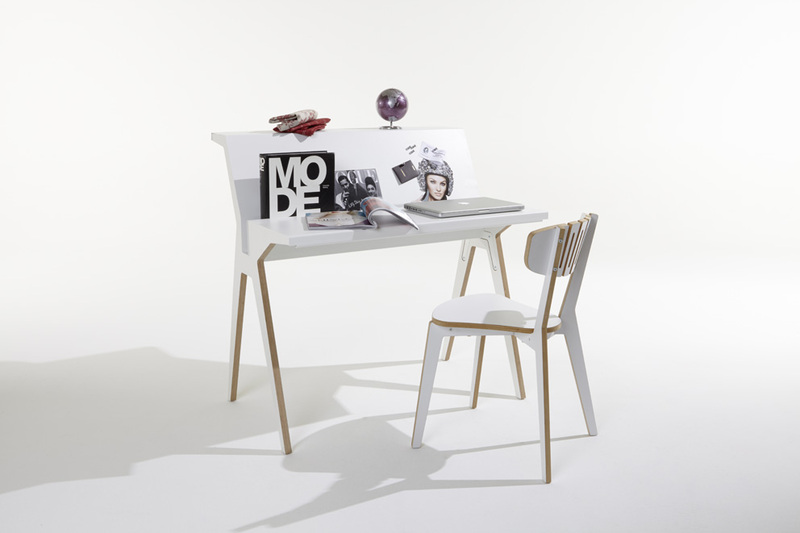 Designed in reminiscence to the “CM 193”, a ladies’ desk Paulin designed for Thonet France in the 1950s, it certainly doesn’t try and conceal its decidedly feminine touch. 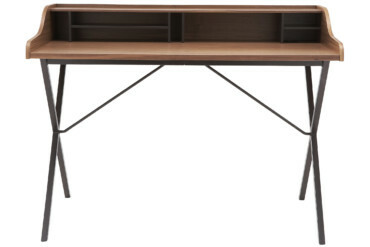 Jasper Morrison and Luigi Pirandello? 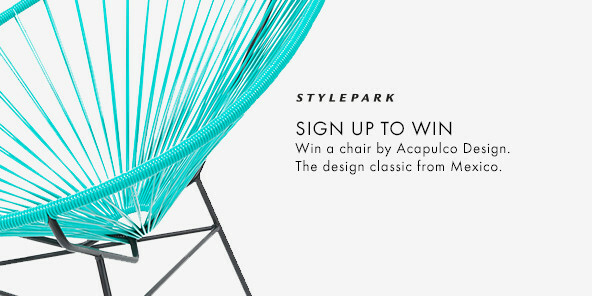 The British designer with a foible for simplicity and the Italian writer fighting the illusionist theater? – What an odd match! 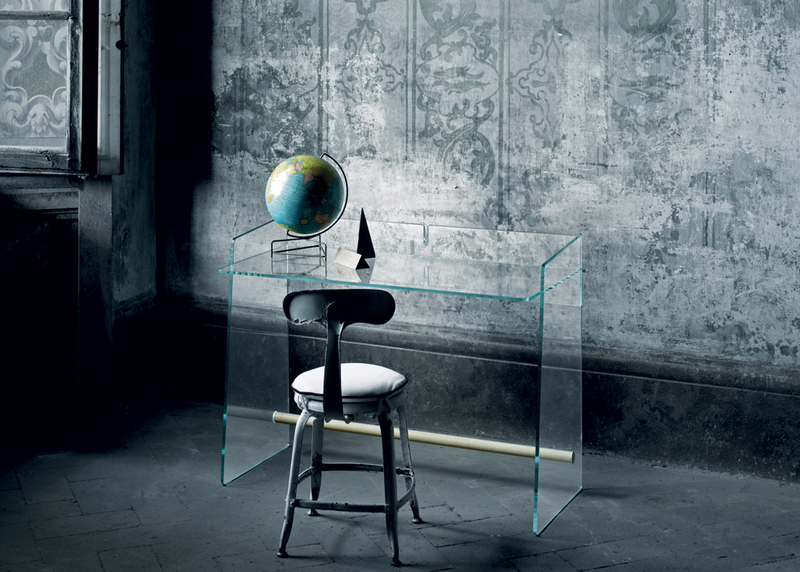 But look: It’s a desk made of glass. Who knows, two things may have intrigued Morrison about Pirandello, whose most famous play bears the title “Six Characters in Search of an Author”: One, that he made the mechanisms of the theater transparent, and two, that he reveals that writing is just for show. 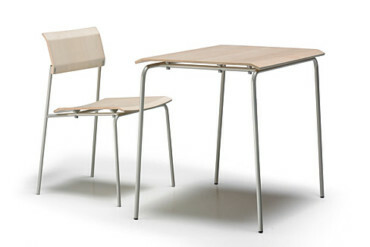 Be that as it may, Jasper Morrison’s “Pirandello” doesn’t make a fuss. It’s simply functional. You will be forgiven for considering “Storch” a tad gawky the way it rests against the wall on its two spindly legs. Indeed, the legs of the stork from which it takes its name can be readily intuited, as are the wings, if you are prepared to use your imagination. Somehow you cannot help but feel affection for this clever little chap made of powder-coated steel plate and solid oak. And it’s a real handyman – provided you have a wall against which you can lean it. 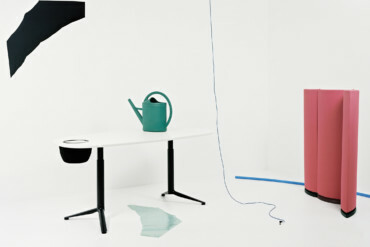 Appearances are deceiving: Thonet’s “S 1200” is not a classic dreamed up in the good old Bauhaus days. 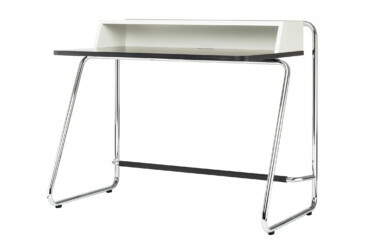 On the contrary, the Thonet design team created this desk as an accompaniment to tubular steel chairs such as the “S 43” by Mart Stam – taking care to include very practical functions such as the footrest and storage compartment. 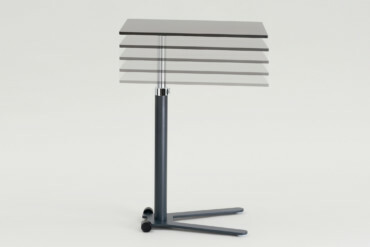 The console table by Tecta is part of the “Oblique” series of tables and seats, and catches the eye with the striking shape of its tubular steel frame. 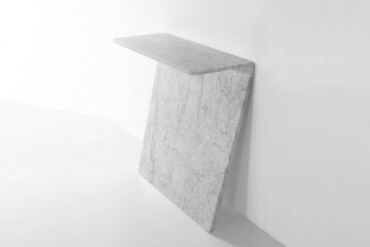 The simple and slender affair is available in black, white or red, in oak or walnut.